I'll start the thread out by throwing in a few of the ones that have been mentioned in the other thread. 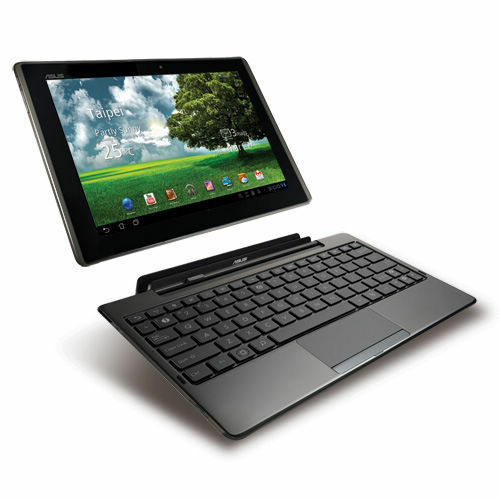 The ASUS Eee Pad Transformer is the first one that's really gotten me excited. No guarantees on release date or price, but it's already out overseas, and accidental postings on BestBuy.com and NewEgg.com have put it at $400 (without the optional keyboard dock). My gtab r0x0rs my b0x0rs. One XDA as a working gingerbread/honeycomb rom working, ill be the happiest boy in the world. Feel free to post links to it and reviews. I mainly just wanted to get the conversation going. I'm intentionally ignoring the Xoom, though someone can post links to it if they want to. It's just too overpriced to really be attractive IMO. Toshiba's announced theirs, but there's not a huge amount of info out about it yet. OK, I'm done for now. Hopefully this thread will be a useful place to dump info about new options. If not, we can keep arguing about whether Android tablets are better than iPads in the other thread. I like Motorola's products, but they were stupid for not releasing a wifi only version along with the Verizon version. They could've sold the wifi for $500 and done very well. Is that running Honeycomb or Froyo? HP has a WebOS tab coming soon. It's the one I'm waiting on. Had a thread about it but it died quickly.